Welcome to Salamone Development, Inc. Founded over twenty years ago, Salamone Development has been building custom, quality new homes and existing home renovations. With his trained eye for detail, and unprecedented experience, Chadd Salamone, principal, has had the privilege to lead his expert team in building and renovating for some of the area's most discerning home owners. Building beautiful, quality, timely homes to enrich each client's life is the main goal at Salamone Development. Chadd's unique, hands on experience of all facets of the building process, have afforded him the opportunity to become a leader in bench mark building. By managing and executing both the critical business end and sought after fine craft skills required to build both new construction and renovations, Chadd and his team are able to consistently deliver high end, quality homes. The Salamone Development team is made up of expert and highly skilled craftsmen, engineers, technicians and designers who specialize in providing every Salamone Development client with all the necessary components to realize their home building dreams. Salamone Development has earned it's reputation delivering quality homes and excellent workmanship, while at the same time managing high standards and fostering solid and trusting relationships with each individual client for a superior construction experience! 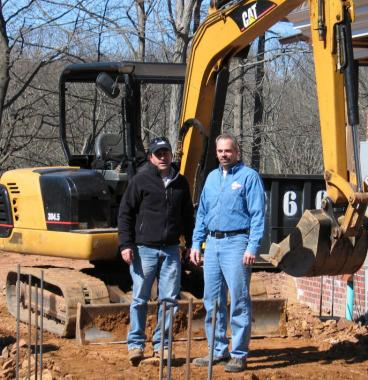 If you are considering building a new home or renovating an existing home, look to Salamone Development, Inc... we will help build your dream from the ground up!